To some, drones may be nothing more than electronic toys, but for fire departments, they're the newest tool in firefighting and management technology. Scappoose Fire District was the first in Columbia County to purchase and incorporate a drone — a small, unmanned aircraft device capable of recording images from hundreds of feet in the air — about two years ago to help with firefighting. The aircraft has proven so helpful that the department plans to purchase another one to add to its fleet. "We are still beginning to realize the possibilities of this technology," says Scappoose Fire District Division Chief Jeff Pricher, who also serves as Columbia County's fire marshal. Pricher says drones have "applications that we're not even aware of yet," but in the interim, he and his colleagues have used a drone for situational awareness as well as during responses to structure and wildland fires. "In some instances you're getting to see part of a fire that not everyone can see because of terrain or obstructions at the eye level," Pricher explains, noting trees or tall grass can heavily obstruct views from the ground. The aircraft is easier to maneuver and cheaper than commissioning a helicopter. 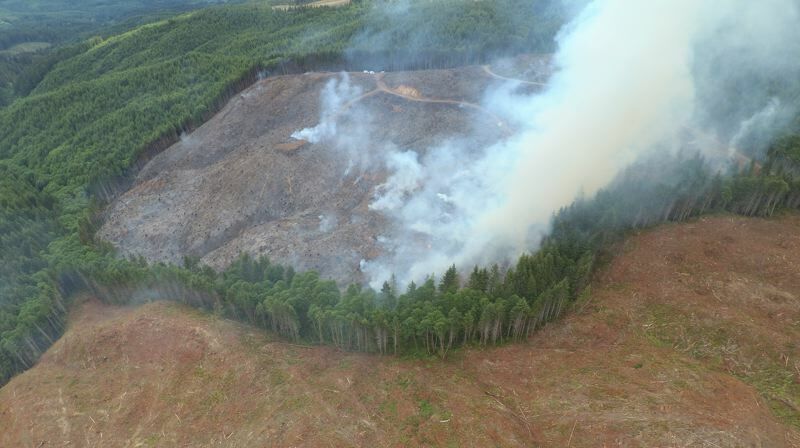 Aerial images collected from drones show patches of smoke or lines of fire that might otherwise be impossible to spot in thickly wooded terrain. "The firefighters can't actually see where they need to put the water, so the incident commander or one of the officers coordinating a division can instruct a firefighter how to manipulate a hose stream," Pricher notes. With that level of technology comes responsibility. 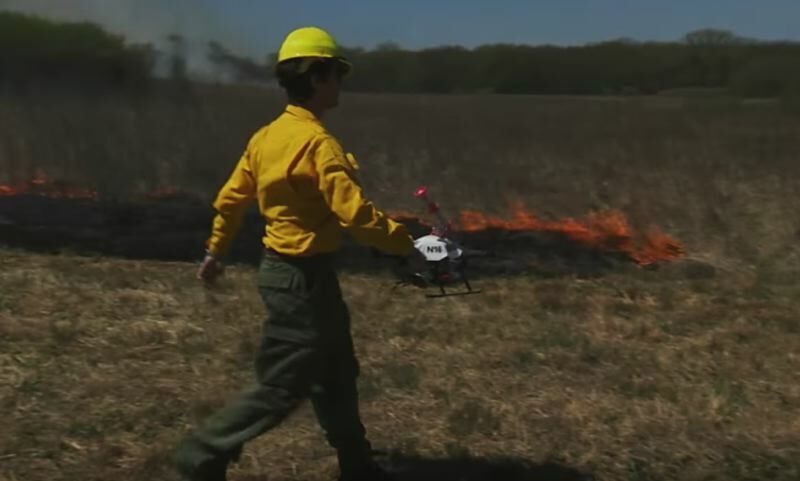 Firefighters must get a license and log a certain number of training hours with a drone before they can move on to using the department's main aircraft. comes with a lot more standards and training and requirements." The Federal Aviation Administration, which oversees the licensing and regulations for the use of drones, distinguishes two types of uses for the aircraft — hobby and commercial purposes. Both come with a set of standards that indicate the devices must be operated within a line of sight and must not fly directly over people. In Scappoose, other considerations apply, depending on the operator's proximity to the Scappoose airport. Because of their capabilities, drones have become somewhat controversial over the past decade as privacy and safety concerns arise. The devices have been used by everyone from the U.S. military to media companies to capture bird's eye images and, in wartime, launch weapons. Additionally, the devices are often heavy and can be dangerous if not operated properly. Overwhelmingly, the aircraft are proving more of an asset to local public safety than a detriment. They've been used in mapping efforts — recording hundreds of images that can be seamlessly stitched together, Pricher notes. They can also be used by law enforcement for crash reconstruction and, in Columbia County, are deployed for building inspection and search-and-rescue efforts. on Sauvie Island near the sloughs," Pricher says. "The easiest way to find them is to get an aircraft up in the air."